A few months ago, I began looking into buying an inexpensive grain mill to include in our family’s emergency essentials closet. While looking at the low end “Back to Basics” mill, I discovered that it would work fine for emergencies but would only grind a very coarse flour and wouldn’t work well if I decided to incorporate it into daily use. I realized that in order to rotate the wheat in our pantry I would have to buy something a step above the “Back to Basics” mill. While rotating our pantry I would also be adding more nutrients to my baked goods and saving money at the same time. Weight 10 lbs. 20 lbs. 9 lbs. 9 lbs. 5 lbs. The most important qualities to me were ease of use, flexibility and quality. The “Wonder Mill Junior” had the best of those qualities, and a double clamp base for better stability. I went ahead and ordered the “Wonder Mill Junior Deluxe” on Amazon for $199.95. The “deluxe” version has two sets of burrs; stone burrs for flours and stainless steel burrs which can handle more oily grains, nut butters and coffee beans. I received the mill a few days after I placed my order. My first impression was the quality of the mill and how easy it was to put together. The body is solid and has a beautiful powder coat finish. Grinding the grain is not a walk in the park, but you also don’t need to be a body builder in order to mill a few cups of grain. To adjust the fineness of the flour you simply turn the knob in the center. As you probably guessed, it is more difficult to mill a pastry grade flour than it is to mill a coarse whole wheat flour. If I am in need of a pastry four I will likely run the grain through once as a coarse flour and a second time at a finer setting. Overall I am very impressed with the quality of the “Wonder Mill Junior” and recommend it to anyone in the market for a grain mill. 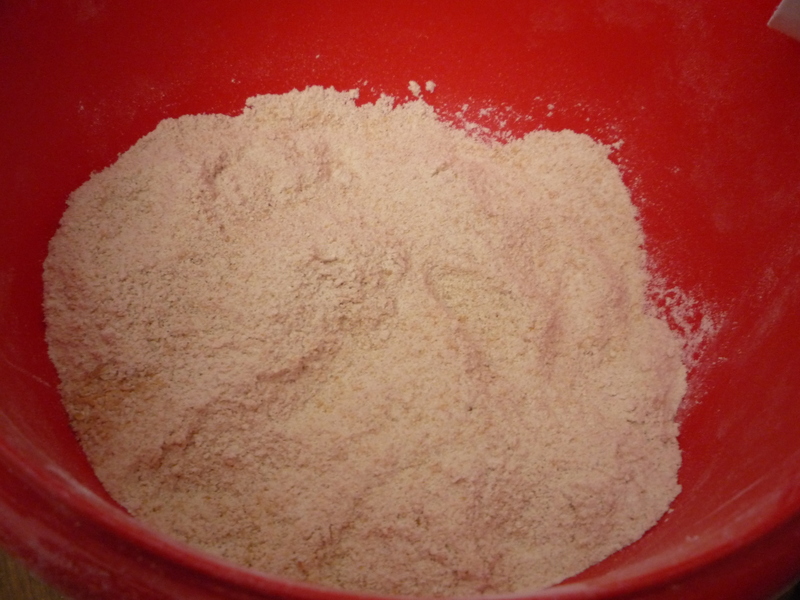 I am looking forward to grinding my own corn meal, peanut butter, oats and more. Please feel free post any questions or comments! Hi Cindy! Blake and I have been debating what kind of mill to get, so I’m so glad you wrote this post! I really want a nice electric one- what exactly made you decide against those? How long does it take to grind four or so cups of flour with your mill? Hi Brittany. I decided to buy a hand mill because I wanted to be able to use it if there was an emergency and we lost power. We wanted to be prepared for the worst. Also, the electric mills tend to only work for dry grains, while this mill will make nut butters and grind coffee,etc. Hi Cindy, I found your site through the Flag Liberty Blog. I love this post about the mill because I’ve begun doing some research too, and want a hand powered one…this one sounds great! It’s nice to find another individual blogger here in Flag! Maybe we could do a “guest post” for each other sometime. I’ve been involved in the local food world for years (although the most recent years have been full of childrearing) and really appreciate you writing here! Hi Naima, thanks for your comments. I would love to interview you for a blog post sometime if you would be willing. The more I look, the more I feel that the only future for food will be at the local level. Your blog is wonderful, and I hope to dig deeper into it in the near future. Thanks again. Cindy, you might want to update your chart above, the new model of the Wonder Junior Deluxe grinds 1 1/4 cups per minute. Apparently the new model came out about a month after you posted this review, bummer you didn’t get the new model. I have the new model and it makes flour fast plus it has a flour guide that keeps flour from shooting our all sides of the burrs. Love this mill. Hi Cindy, wondering if you are still satisfied with your WonderMill Jr. after using it for a year? We are in the process of researching the purchase of a manual mill. Thanks. I love the mill, it’s been wonderful. 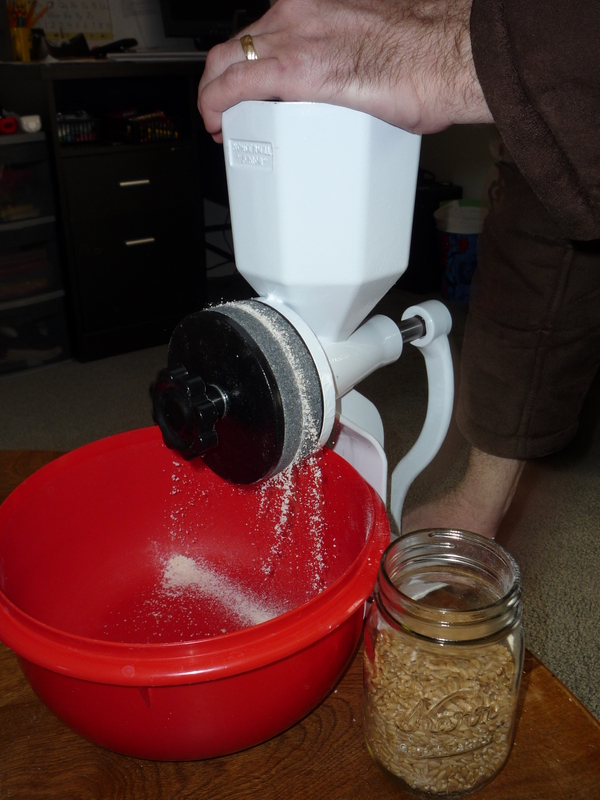 I recently purchased the electric whispermill so I could use more whole wheat flour in my baking without spending 30 minutes grinding the wheat first. 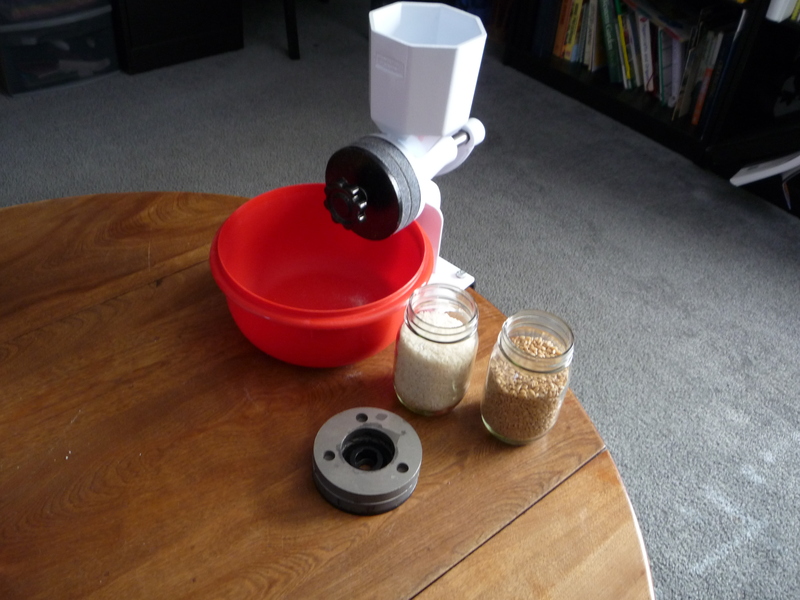 I will still use the Wonder Mill Jr. for peanut butter, soft grains and cracking wheat. Thanks for the comment!